This week I lost it with my daughter. It wasn’t pretty…. Of course afterwards I felt terrible, and added on my guilt with being a Parenting Instructor, so I really should know better. But that’s the thing. We can know everything about how to ideally be with our kids. We can also strongly want to be that way with them. But when we are stressed, all of that goes out the window. Because I was so upset, I couldn’t feel the love for my daughter. So my actions reflected this! When I called Marion, she knew what I needed. I needed to vent and complain and moan. And she listened. Without judgement. When I had run out of steam but still couldn’t think straight, she then asked me some simple questions to help me tap into what was really going on (it’s always greater than the actual incident), and reminded me of the love I have for my daughter and that Emily has for me. Throughout I felt held and nurtured. And afterwards I could think clearly again. I could feel the love for my child again. And then start to apply all of those gorgeous things I’ve learned again. And so this is what I’d love for you. For you to be truly supported in this challenging gig called parenting. Without judgement, shame or blame. Because the more you feel supported, the better things will be. For you AND your children. The more you are listened to, the more you can listen to your child.. 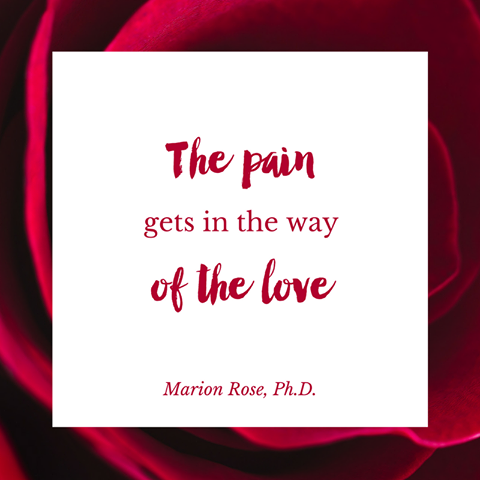 The more someone else accepts your anger and tears, the more you can accept your child’s. And the more you can get help with your big feelings, the more you can help your child release theirs. So that is one of the reasons I keep on going on (and on!) 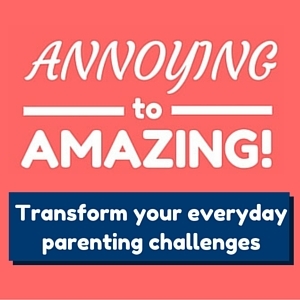 about ANNOYING to AMAZING! Because I want to be able to offer YOU as much support as I can so that you can feel nurtured too, and also then go on to support your child. 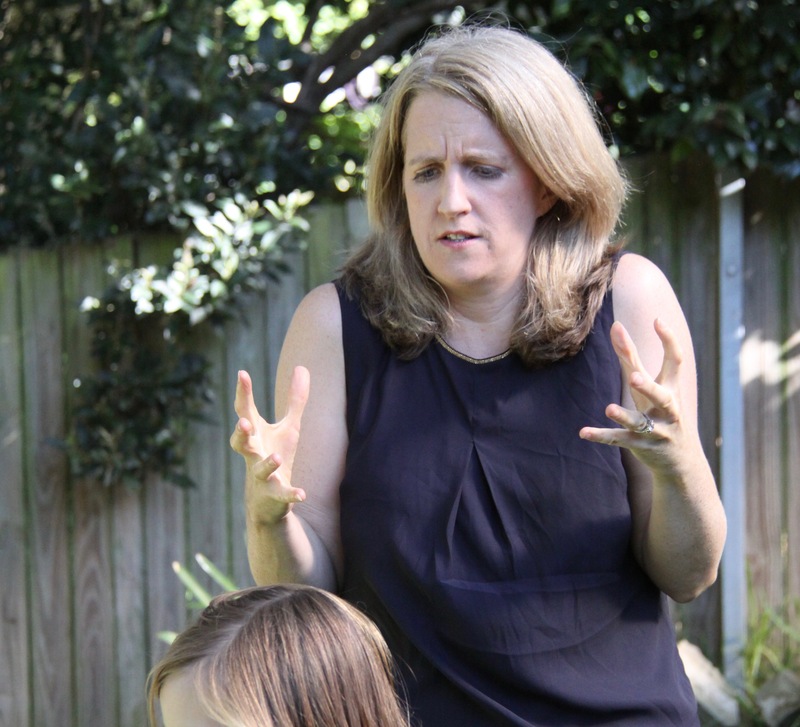 “I love that you are an open book, as opposed to a ‘parenting guru’, revealing all your own struggles and real life situations with us, from which we learn SO much and feel so connected to you & other parents. So if you’d like to gain extra support, as well as fantastic tips & strategies, sign up today.